You are here for a collection of 10 advanced features of regular expressions in Ruby! (?=X) Positive lookahead "Ruby"[/. (?=b)/] #=> "u"
(? !X) Negative lookahead "Ruby"[/.(? !u)/] #=> "u"
(?<=X) Positive lookbehind "Ruby"[/(?<=u)./] #=> "b"
(?<!X) Negative lookbehind "Ruby"[/(?<!R|^)./] #=> "b"
\X treats combined characters as a single character. See grapheme clusters for more information. 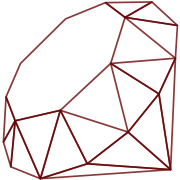 "Ruby by"[/(R)(u)(by) \k<-1>/] #=> "Ruby by"